Are you ready for some football?! 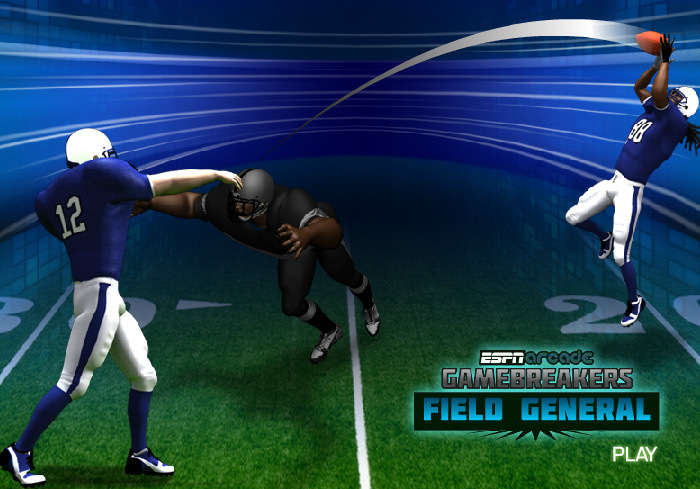 Lace up your shoes and put your safety gear on and head to the field in this amazing, action-packed football game – Field General! 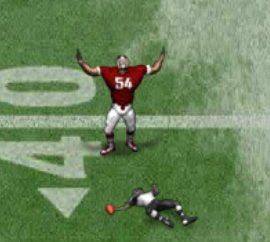 Dash down the field in time to catch the football then run it right into the endzone for the winning goal! Are you ready? The game features many different keyboard hotkeys to use throughout the game. 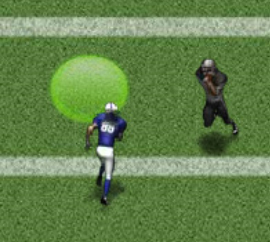 During the throwing phase of each level, use the I, J, K, and L keys to move the yellow circle around the field and the spacebar to pass the ball. 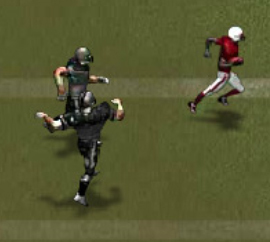 Once the catcher has caught the ball, use those same directional keys to direct the runner down the field for the winning touchdown. In addition to these hotkeys, there are other keys you will need to learn as you play the game in order to use your special moves. 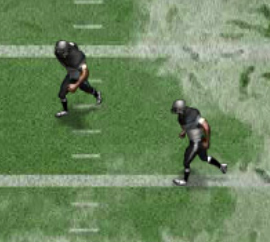 There are three special moves for players to use throughout the game to help the running back make it all the way into the endzone. Each of these special moves unlocks at various levels of the game. For instance, the first special move unlocks when you complete Level two of Stage two. Field General offers many different stages for players to complete – 15 stages, in fact! Within each stage, there are also multiple levels to complete in order to advance and unlock future stages. Your overall score in Field General is made up by a number of factors. These factors include bonus points as well as deducted points. 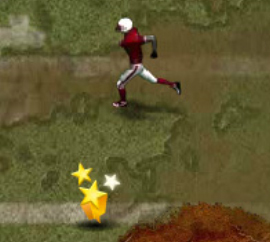 You gain bonus points by catching the ball, the number of yards you achieve after catching the ball, making a touchdown, as well as how much time it takes you to complete the level. 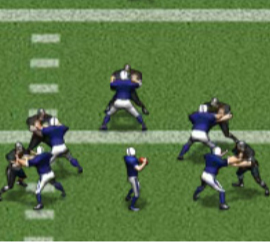 Points are deducted when the quarterback uses different moves. If you’re struggling to get the hang of playing the game, try using some of these tips from experienced players and watch how high your scores climb! 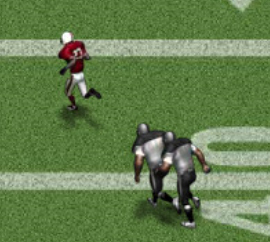 While playing, keep in mind that making a touchdown is not the most essential goal to reach. 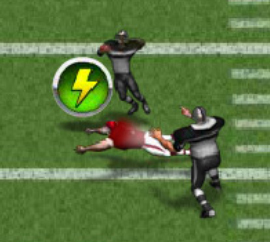 While making a touchdown does give you bonus points, it is not necessary to complete the levels. The only thing you really must do in order to complete each level is complete the passes. Aiming is everything! 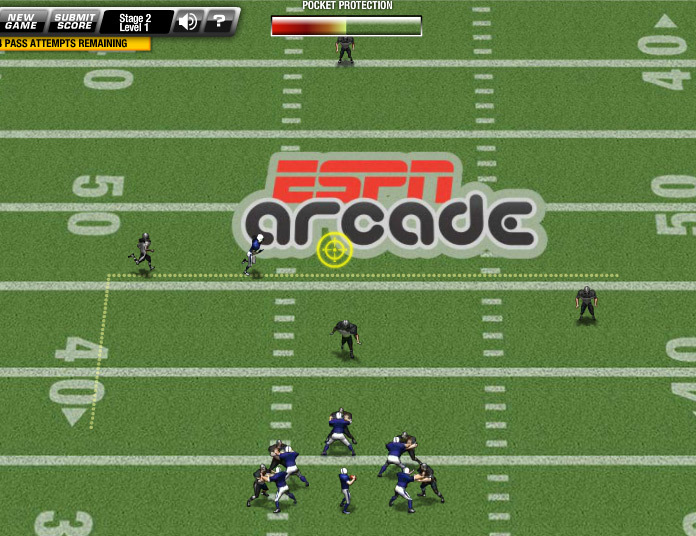 When you’re playing as the passing player, guide the yellow circle to where the dotted line is located on the field. 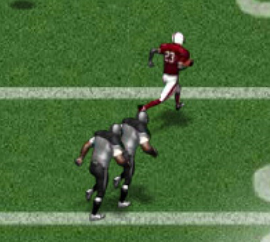 This dotted line indicates the direction in which the catching player will be running. Guide the yellow circle to that dotted line, but in front of the catcher to allow yourself time to catch the football accurately. 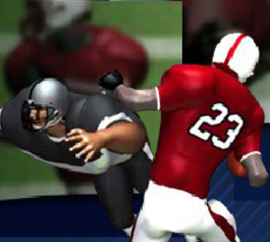 Once you’ve caught the ball, run as fast as you can to the end zone and avoid the blockers as much as possible!